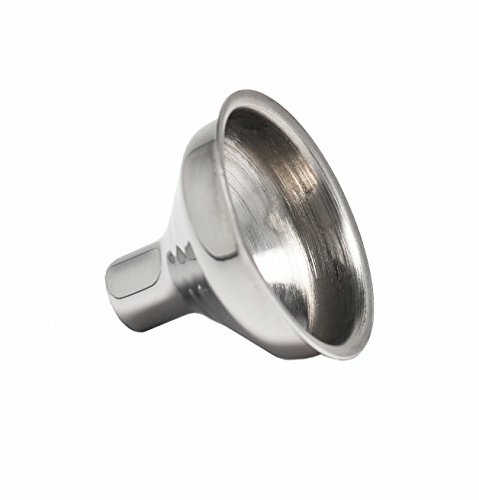 Shot Flask - Moar Stuff - You don't need it but you know you want it. $28.98 $29.99	Get Your Stuff! SHOT FLASK! - The Shot Flask makes drinking on the go easy. Take the the shot glass from the side of the shot flask and pour your drink! After you're finished, collapse the shot glass and put it right back on the side of the flask. 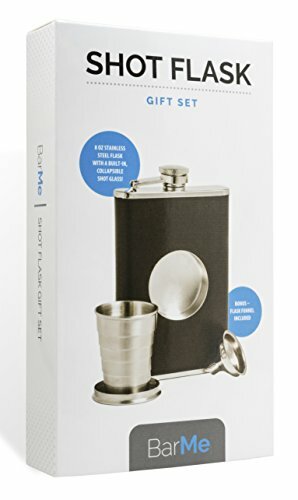 PERFECT PRESENT FOR ANY OCCASION - Shot Flask gift set is a great Groomsmen gift, Wedding gift, Best man gift, Graduation gift, Father's Day gift & more! Or do you simple need a drinking accessory that is functional and a conversation starter? 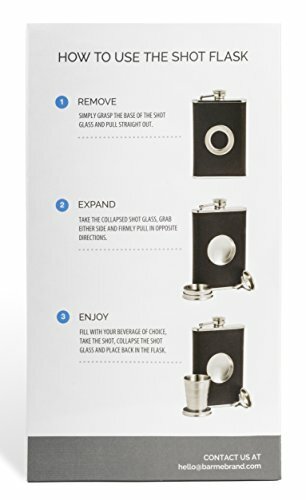 If so, the BarMe Shot Flask Gift Set is perfect for you! Flasks are a great way to drink your favorite spirit on the go. The problem with flasks, however, is that taking quick pulls is not the best way to enjoy fine whiskey, scotch, or other liquors. Well, this Shot Flask solves that problem. No, real connoisseurs know that the best way to enjoy spirits is by sipping them from a shot glass, but who wants to carry a fragile shot glass just to have a better drinking-on-the-go experience? Fortunately, with the Shot Flask, you don’t have to pack a separate shot glass to enjoy spirits when you’re on the go. You already have one attached to the side of the flask. Every piece in the Shot Flask set is produced with quality and durability in mind. High quality stainless steel is used in the manufacture of the hip flask. 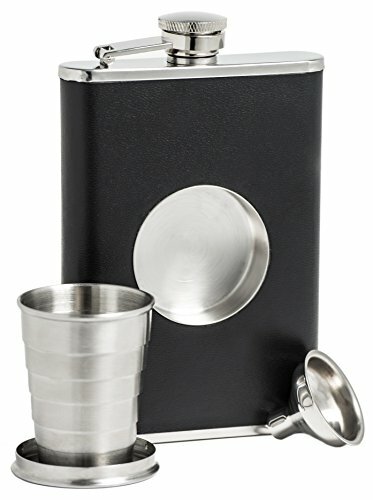 Same goes for the collapsible shot flask glass, and even the flask funnel. 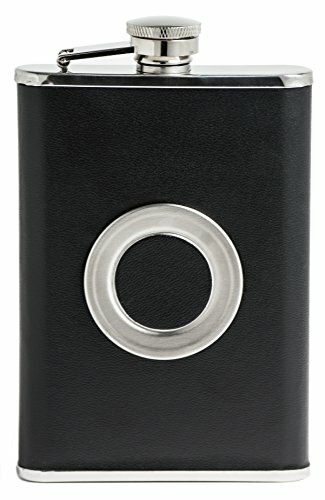 This quality construction gives the Shot Flask a timeless and sophisticated look that will last for years. Not only is the Shot Flask perfect to carry in your pocket when you want to sip a fine spirit away from home, but it also makes a great gift for your fellow whiskey lovers. Dimensions: 7 x 4 x 1.3 inches. Shot Glass Capacity: 2 oz. 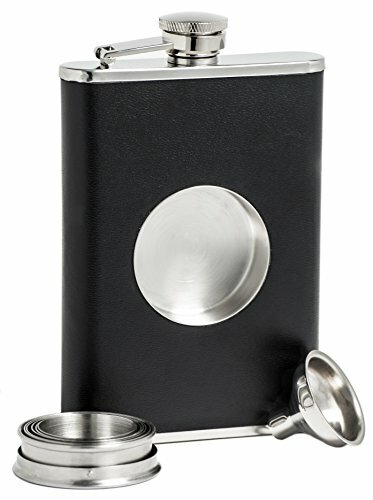 Included: – Shot Flask with a screw-down cap, collapsible shot glass, and a flask funnel.